Gold Creek once was home to a thriving population of bull trout and salmon. 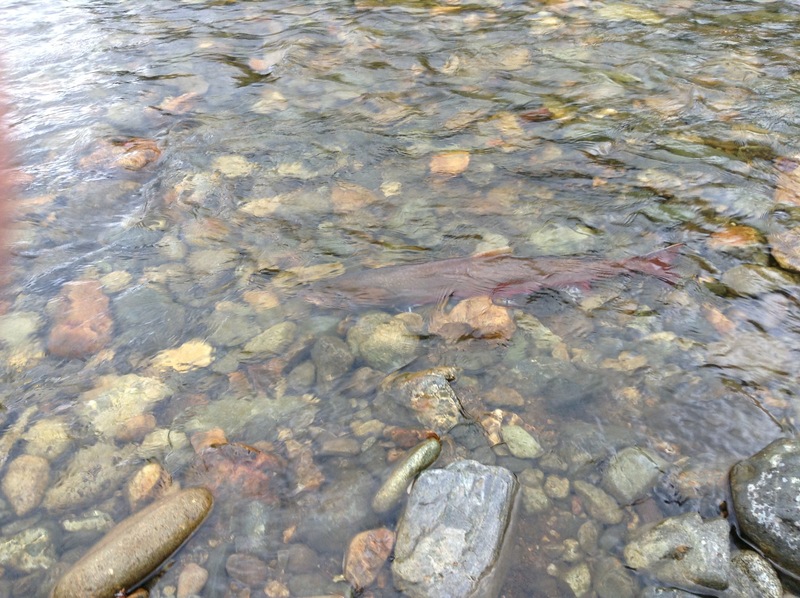 However, today salmon no longer live here and bull trout numbers are rapidly dwindling. The past 5 years we have collected data in Gold Creek Valley to understand the causes of bull trout decline and what actions can be taken to save them. The data shows that human impacts are causing the creek to go dry each summer, one of which is Gold Creek Pond. 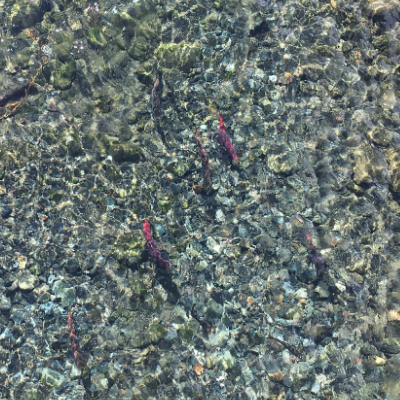 In the coming year, the Forest Service will begin to look at what restoration alternatives need to be taken to keep bull trout from disappearing. We have been talking with people about their concerns over restoring Gold Creek Pond. Below you will find some of the most common questions that we are asked. What is the problem in Gold Creek Valley? The problem surrounds protecting bull trout, which are on the verge of disappearing from the Upper Yakima Basin. Gold Creek is home to one of just three remaining populations of bull trout in the upper Yakima Basin. Bull trout are listed as “threatened” on the Endangered Species List, and are a priority for protection by federal, state and local agencies and groups. Today we are seeing that a section of Gold Creek goes dry most summers. When the creek goes dry, it kills juvenile and adult bull trout. It also prevents adults from moving upstream to spawn in late summer/early fall. Gold Creek historically supported a thriving population of bull trout as well as Sockeye and Chinook salmon. Bull trout populations began declining with the construction of Keechelus Dam in 1917, and over the years their numbers have continued to dwindle due to habitat degradation caused by dams, logging, mining and development. 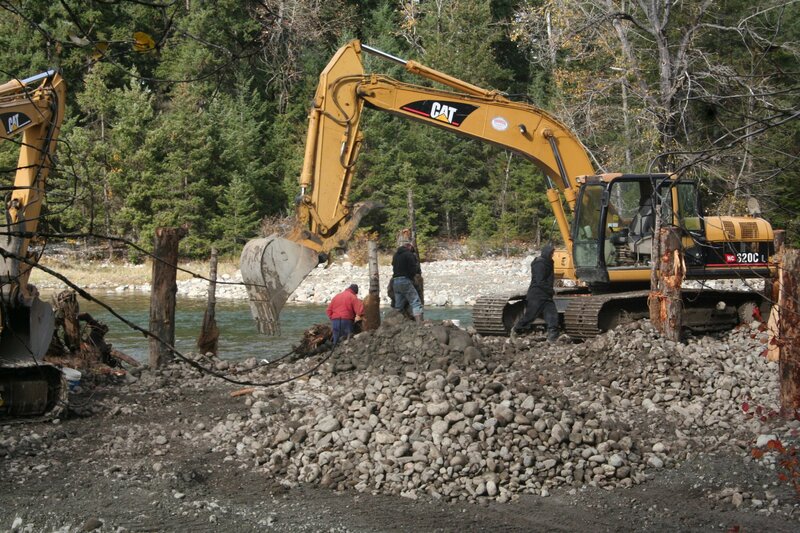 The need for this work was identified by the bull trout experts! The Bull Trout Working Group was formed in 2002. It is comprised of partners and experts working to conserve bull trout in the Yakima Basin. 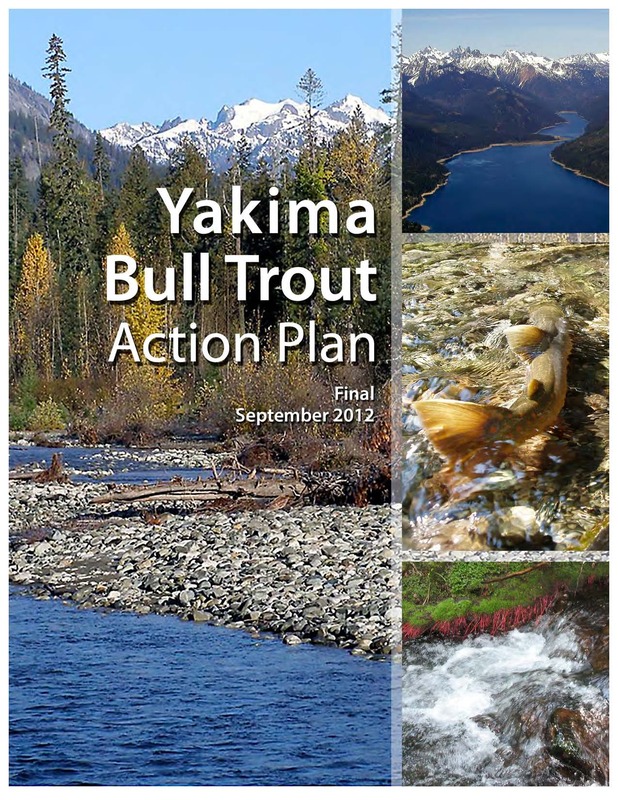 In 2012, the Bull Trout Working Group developed the Bull Trout Action Plan, which identified actions to sustain all of the populations in the Yakima Basin. These actions were reviewed and updated in 2017. 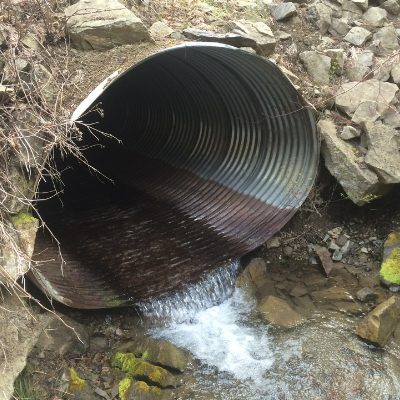 In 2015, the US Fish and Wildlife Service developed the Bull Trout Recovery Plan. The group uses these documents, plus a wealth of on-the-ground experience, to guide their work. At the top of the priority list are the three populations in the upper Yakima Basin: Gold Creek, upper Kachess River, and Box Canyon. These special places are most critical for bull trout because their numbers are the lowest and they are close to disappearing forever. We are currently working in all three places to find sustainable ways to keep bull trout alive. 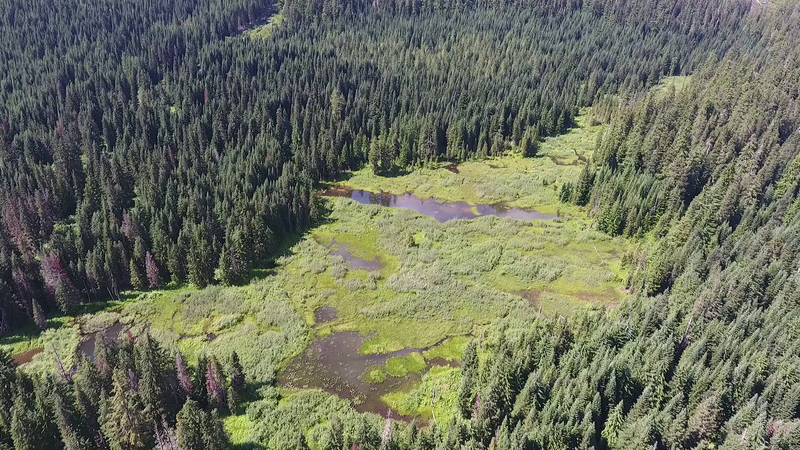 What caused habitat degradation in Gold Creek? A range of human impacts led to the decline of habitat in Gold Creek. Historic clear-cut logging in the valley, including the large trees lining the channel banks, resulted in dramatic channel widening. The wider channel causes two problems: 1) Water spreads out over a larger surface, which decreases the creek’s depth and 2) Water infiltrates below ground – moves from above to below the streambed. Both of these factors contribute to more frequent dewatering (a period of time when the stream goes dry) occurring over longer sections of the channel. To expand I-90 in the 70s and 80s, the Washington Department of Transportation (WSDOT) needed large quantities of gravel. About three quarters of a million cubic yards of gravel were extracted from a pit that later became Gold Creek Pond. The shape of the pit and the elevation of its downstream outlet lowered the groundwater table across Gold Creek valley. Because the pond is lower than the creek, it acts as a siphon, pulling water from the creek to the pond. This further exacerbates the dewatering effects on the creek. You can see this firsthand walking along the north shore of the pond. Even during the dry summer months, groundwater flows from the bank along the northern edge of the pond. Additional impacts such as mining and development have also contributed to poor habitat conditions and dewatering of Gold Creek. Consequently, the creek lacks the large wood that provides shelter and stream complexity bull trout need to survive. Additionally, dewatering kills young bull trout rearing in the creek, and inhibits adult migration to spawn upstream in late summer/early fall. These are critical factors for populations that are already struggling and as a result, we continue to see bull trout numbers decline. How do we know that Gold Creek Pond is pulling water from the creek? A lot of on the ground science! Groundwater wells were installed across the valley and instream gages were installed along over 2 miles of Gold Creek. These monitoring locations collected water level data at 15-minute intervals over the course of two years. Engineers with Natural Systems Design, a firm that specializes in stream restoration, analyzed the data. The data showed that water up-valley from Gold Creek Pond was moving away from the creek and towards the pond rather than staying in Gold Creek. You can click the image on the left for a more detailed look at how water is moving through Gold Creek above and below the pond. 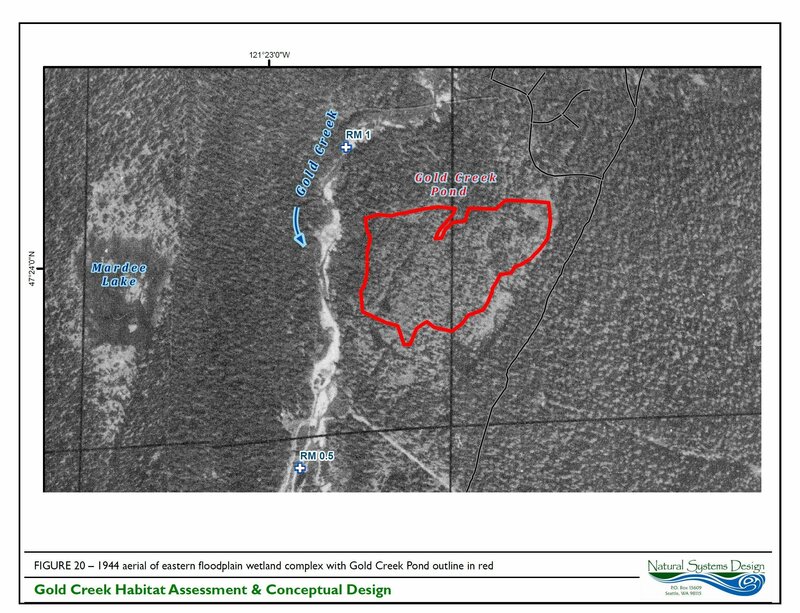 Did Gold Creek go dry prior to the excavation of Gold Creek Pond? Yes, there is written record that it did dating back to the 1960’s, and likely occurred prior to that. Dewatering (the creek going dry) during the summer months likely occurred at Gold Creek historically since the amount of water in the creek is dependent on snowmelt. However, the length of time and physical extent of dewatering in the creek has increased as a result of human impacts. 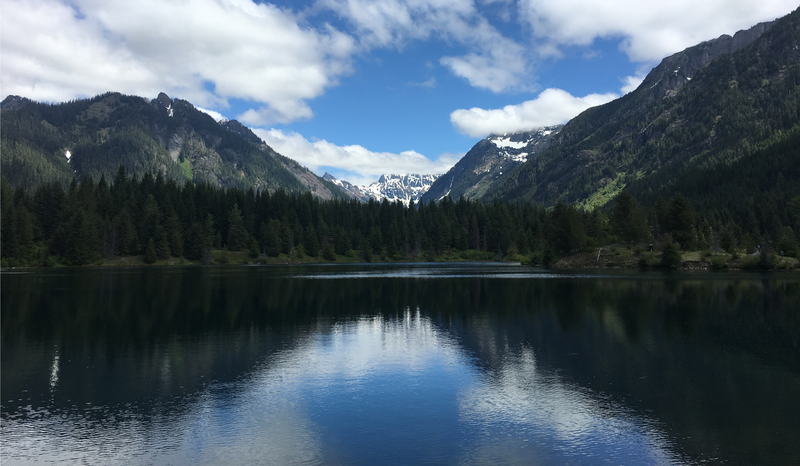 The dewatering noted prior to the excavation of Gold Creek Pond occurred in a creek that was significantly altered from its historic condition, a result of clear-cut logging and mining decades earlier. These impacts created an overly wide channel that spread out water over the stream bed and caused it to go subsurface. By 1970 the channel was on average 86% wider than it was pre-logging (prior to 1944). That’s nearly double the creek’s original width! The excavation of Gold Creek Pond further intensified dewatering in Gold Creek by altering how groundwater moves across the valley floor. The change in groundwater movement and channel size increased in the frequency and magnitude of dewatering events in the creek. The effects of excavating Gold Creek Pond and the over-widened channel due to logging both contribute to annual dewatering in Gold Creek. In order to restore the creek, both of these impacts will need to be addressed. That is why an important component of this project is completing in-stream restoration. 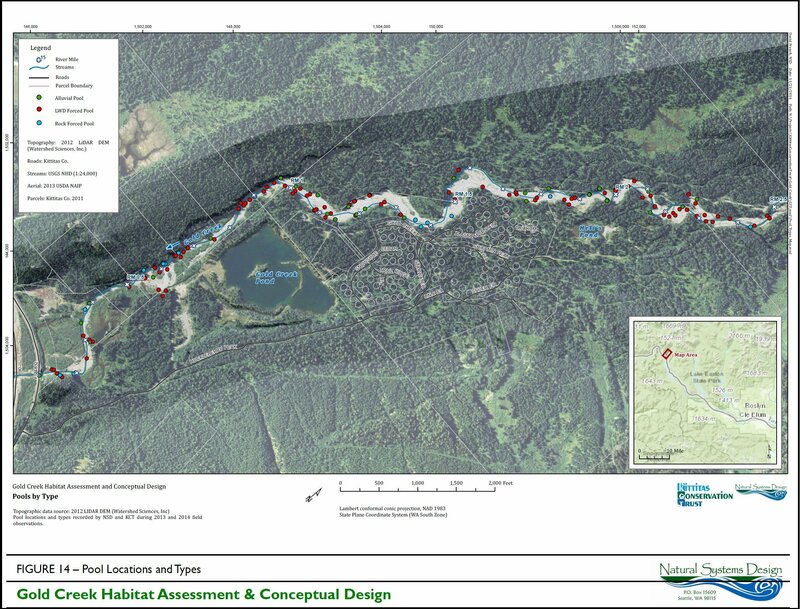 Natural Systems Design, a firm that specializes in river restoration, has collected data, conducted modeling and developed an instream restoration design to restore the over widened channel and provide valuable instream habitat that is currently lacking. 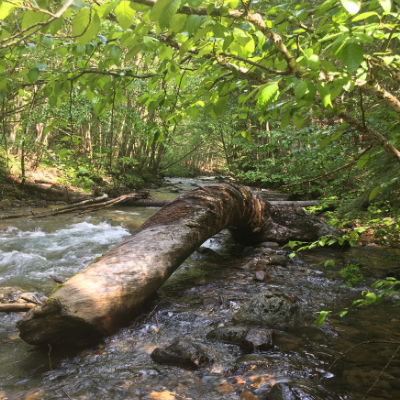 The Forest Service will conduct a NEPA analysis on restoring the stream to see what alternative will have the most positive impact for habitat restoration, and take into account any potential effects on human-use of the area. What is the role of climate change on dewatering? We see the effects of climate change across Washington State in a number of ways. At Gold Creek, these impacts do contribute to dewatering. Weather and climate, primarily winter snowpack levels and summer thunderstorms, influence both the timing and duration of dewatering in the creek. 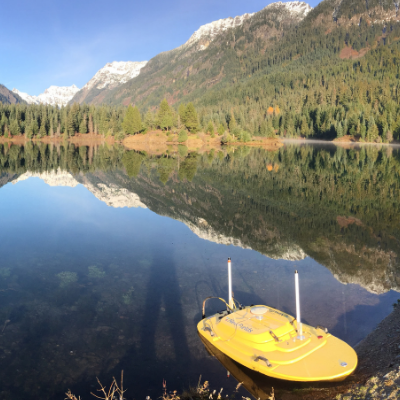 Climate change models predict the Gold Creek watershed will gradually experience warmer and drier summers, further exacerbating dewatering in the creek. Climate change is a problem on a global scale and it can be difficult to directly influence its effects on a local level. 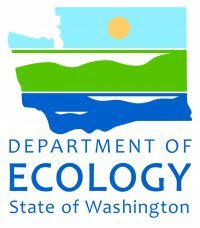 Washington State has identified climate change adaptation, or finding ways to retain as much as possible natural processes despite the effects of climate change, as a key measure in our planning and restoration activities. As a community-based land, water, and habitat conservation organization, our ability to influence climate change effects on a broad-scale is limited. But that doesn’t mean it’s hopeless! What we can do is address the local issues causing dewatering of the creek such as an over widened channel and the altered groundwater table. Will restoring Gold Creek Pond stop the creek from going dry? No, it will not, but it will lessen the likelihood and duration of dewatering. The US Forest Service will examine a number of alternatives (see below for information on impacts to recreation and next steps) to address the issue. Depending on what restoration alternative the Forest Service chooses, restoring all or part of the pond could reestablish the groundwater table so that water isn’t being pulled out of the creek to the pond. This will allow more water to remain in Gold Creek channel, which will decrease the intensity and length of dewatering. In addition, instream work will restore the creek by putting large wood back into the stream, creating side channels and narrowing the main creek channel. By taking a holistic approach and restoring the groundwater table and the stream, we will be improving habitat conditions even when dewatering occurs. With such vulnerable populations of bull trout, it’s critical we do what we can to limit this issue while we can. Hasn’t the pond already been restored? Prior to excavation Gold Creek Pond was a wetlands habitat complex. The gravel pit that WSDOT dug is expansive – it takes up 90 percent of the floodplain and is 60 feet deep at its lowest part. It is one of the few gravel pits in the Gold Creek floodplain that wasn’t restored back to its original state by WSDOT after excavation. There have been many efforts to restore the area surrounding Gold Creek Pond, but no actual effort to restore the pond back to the wetlands complex it once was. To what extent the pond will be restored back to its original habitat depends on the restoration alternative chosen by the Forest Service. The Forest Service will use the NEPA process to examine alternatives and find the one that has the greatest positive impact for bull trout and the least negative impact for other users of the pond and surrounding area. 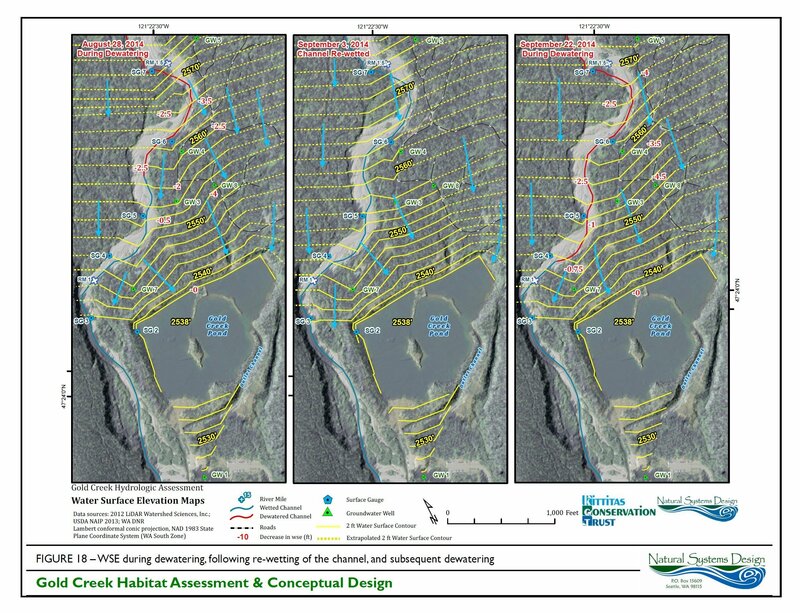 The overall restoration of the valley (pond and stream) will result in a net benefit to wildlife through improved habitat conditions and habitat connectivity. For instance, despite various plantings over the years, native plants are having a difficult time establishing themselves around the Gold Creek Pond picnic area. We will be able to address issues like poor soil conditions – the soils around the pond were compacted and stripped of nutrients by the pit excavation operations – which make it difficult for native plants to take root. What will happen to the recreational opportunities around Gold Creek Pond? As a community-based conservation organization, we live and recreate in the same places we work. It’s our goal for this project to enhance recreation around the pond. 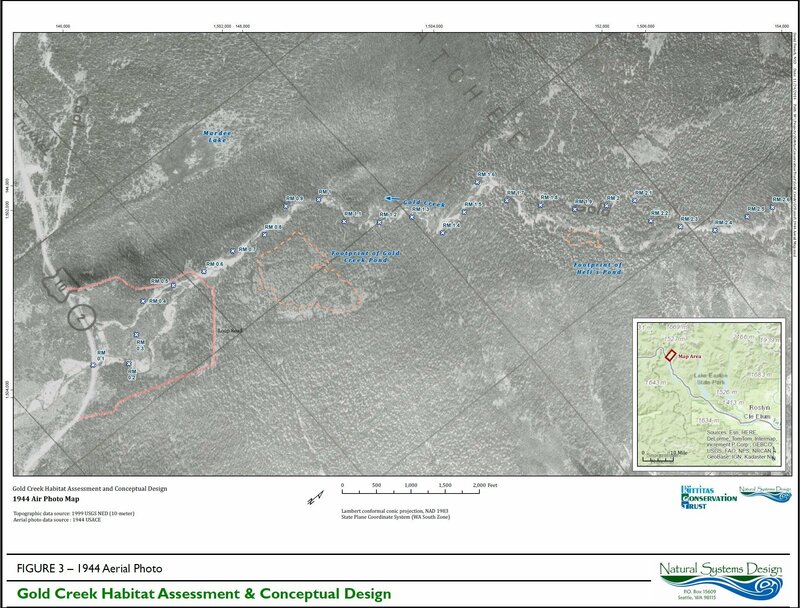 Recreational designs will be incorporated into each restoration alternative analyzed in the NEPA process. Whichever alternative is selected will include ADA accessible trails and remain a family-friendly place for all of us to enjoy nature and recreate. The Forest Service will conduct a NEPA analysis to determine what action(s) need to be taken for the pond and the creek. The public can provide written comment and input through the NEPA process, which the Forest Service will respond to before reaching a decision. 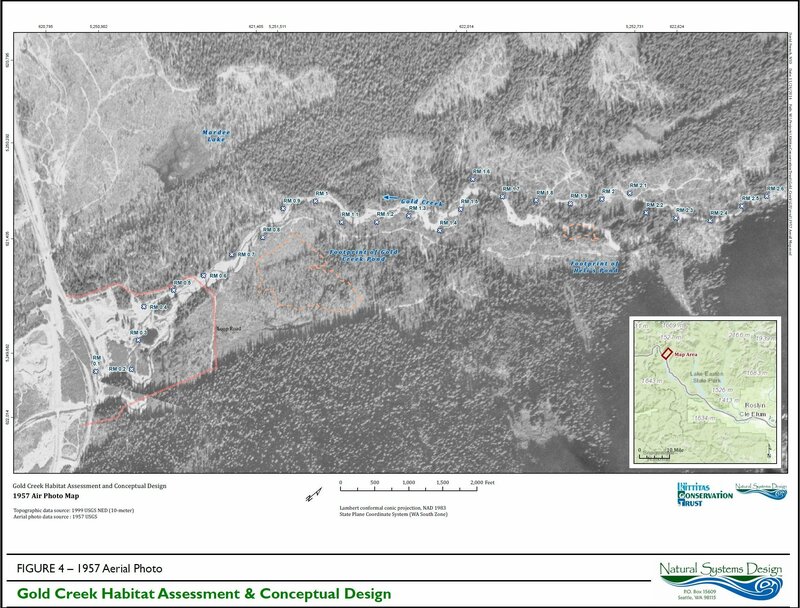 Through the NEPA analysis they will determine the actions that best meet the “purpose and need” of the project, which is to restore bull trout habitat, while limiting negative impacts to the community and other wildlife. As with all large restoration projects, there will be some short-term impacts. Heavy machinery will be used, which creates noise and localized impacts on the land. There will be some level of disturbance from any heavy machinery operation. We will reduce impacts by specifying where machines can go and minimizing their area of work. In addition, there will be noise generated while restoration work is in progress. Recreation will be also likely be impacted on a short-term basis. We will work with the Forest Service and our partners to limit this to the greatest extent possible. An amazing place! This project will result in great outcomes for fish, wildlife, plants and people. Enhanced trails will remain ADA accessible and family friendly. One of the many benefits of restoration work is the potential to improve and hopefully increase wetlands. Wetlands play hugely important ecosystem functions and are listed as, “among the most productive ecosystems in the world.” We see first-hand the benefits of wetlands right here in Washington. We hope the ultimate outcomes will be: improved wetlands and stream habitat, greater diversity of wildlife, and an enhanced native plant community. As a result, there will be more opportunities for bird watching, mushroom hunting, and wildlife viewing than there is now! What is the role of Kittitas Conservation Trust in restoring Gold Creek Pond? 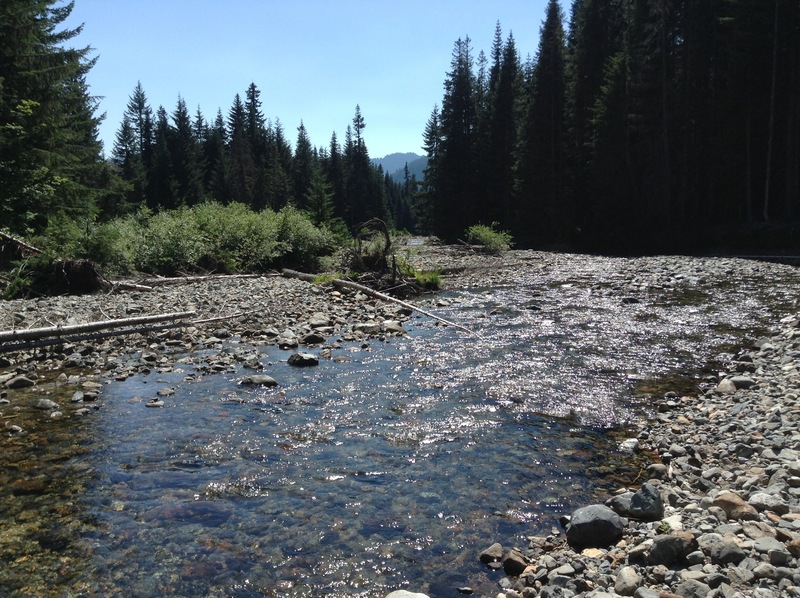 Over 5 years ago, KCT was asked by federal, state, and other partners working to preserve bull trout in the upper Yakima Basin to apply for funding to study Gold Creek and assess the hydrology, habitat, and geomorphic history of the system. Our task was to gather data on the area to provide to the agencies tasked with making decisions on Gold Creek. 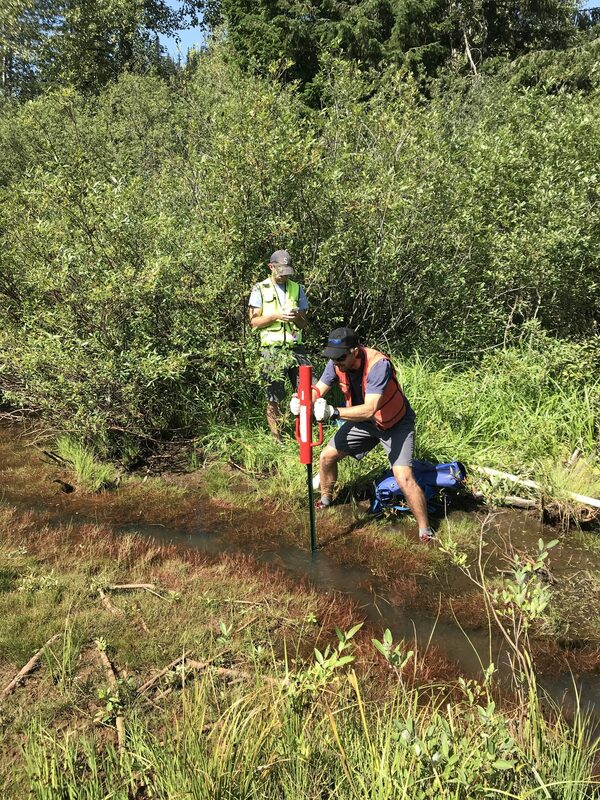 To do this work, we hired experts, Natural Systems Design, an engineering firm who specializes in river restoration, to gather and analyze data and create conceptual designs. 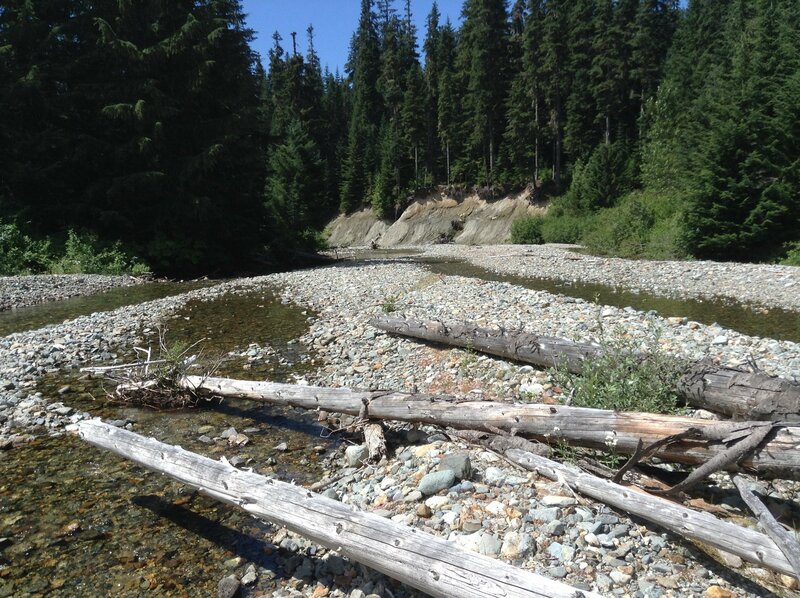 Our role is not to decide what restoration takes place in Gold Creek Valley. Our role, as a community-based conservation organization is to bring in the right experts (engineers, biologists, geomorphologists, etc.) to identify what the problems are and map out potential solutions. The US Forest Service will use the data we collected and other existing science to make an informed decision that takes into account many perspectives. Through the NEPA process, the public will be able to weigh in on the various alternatives. Once the Forest Service makes a decision, we will work with them to implement the selected alternative. 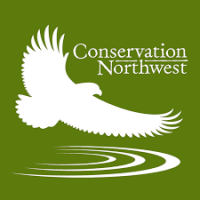 Our small, two-person team is not in the position to make these decisions but is committed to working with our partners to continue protecting and restoring habitat in the Upper Yakima River Basin. Gold Creek Pond is important to people of all different walks of life. Year around access, opportunities to see wildlife, easy and accessible recreation in a mountain environment, and beauty of the area are just a few of the reasons why people feel connected to this special place. As Kittitas County community members, we hold those same values too, as do our partners working in the upper Yakima Basin. On each restoration project we are a part of, we work hard to include as many values as possible into the final product, and Gold Creek will be no different. 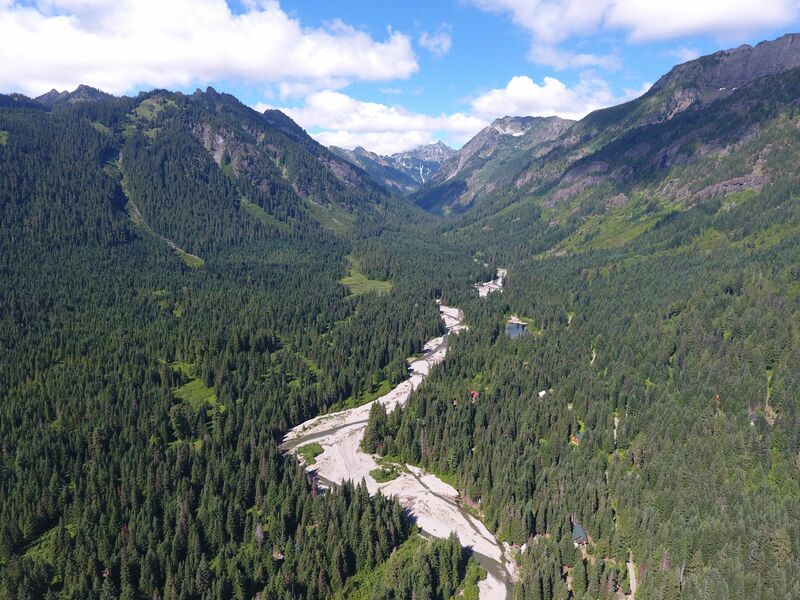 To learn more about the work being done in Gold Creek Valley, you can visit our project page where you will find documents, pictures and more!